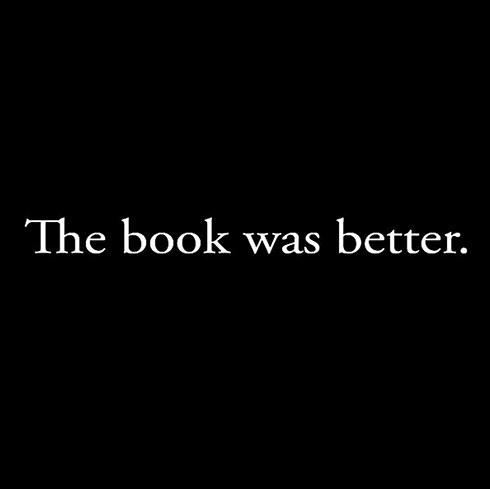 The recent release of The Martian movie trailer, based on Weir’s book of the same title, got me thinking – what other books I liked have upcoming movies? So I searched around and dug up info on these four films. Let me bracket all of this by saying – I do not know squat about Hollywood. I have a vague understanding what “optioned” means and what having a producer attached to film vs. a director with no actors indicates about just how far along a film is in the process. So some of these may never see the light of day. But the interest is good. And it seems to me that you’d want to crank out a quality film while the book it’s based on is still highly ranked in the public’s collective hippocampus. But again – I don’t know Hollywood. What I do know is a good book when I read it, so if these films based on books do happen and they’re as good as the book they’re based on, then it may be worth an $80 movie pass (or whatever movies cost these days). 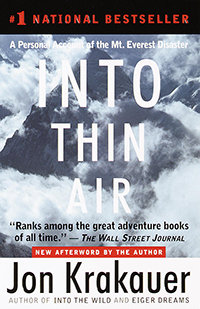 Into Thin Air by Jon Krakauer – this is the second time Krakauer’s true story about climbing Mount Everest has been made into a film. The title of this film is simply Everest and stars Jake Gyllenhaal, Keira Knightley and Josh Brolin. Looks like everything is on track for a September 18th release date. 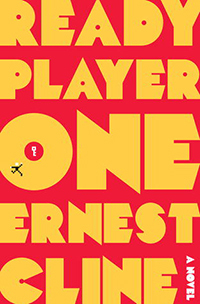 Ready Player One by Ernest Cline – Steven Spielberg has signed on to direct this one. I can absolutely see this book working as a film. Everything from the real-world vertical trailer parks to the special effects needed for the game sequences would be great on the big screen. It’s still in the writing stage it looks like, so no word on a release date. 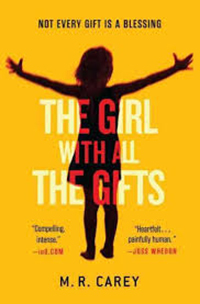 The Girl With All the Gifts by Mike Carey – the title has been changed to She Who Brings Gifts and parts of it started being filmed last month. The story paints a bleak future where humanity has been almost wiped out by fungus/plant infections. Glen Close and Gemma Arterton are acting in this one. Looks like it’s slated for 2016. 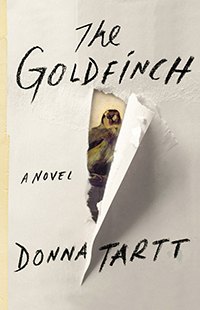 The Goldfinch by Donna Tartt – last year’s Pulitzer Prize winner has been optioned and has a producer. The screenplay is being drafted by the same guy who did Tinker Taylor Soldier Spy, to give you an idea of how they’re thinking about this film. There is no release date or start date for this movie yet.